Filled with folksy art and creative recipes from affordable restaurants captured in tantalizing photographs—with tidbits of history thrown in as lagniappe—author Jyl Benson serves up just the right taste of this fascinating and ever-evolving city. Included are neighborhood favorites such as MoPho, Purtoo, Toup’s Meatery, Lola, Bhava, and Juan’s Flying Burrito: A Creole Taqueria. Leon Galatoire, a fourth-generation member of the founding family of Galatoire’s Restaurant, knows that recipes designed for feeding large numbers of people will not work by reducing them proportionally. With this in mind, he has redesigned recipes for home use that retain the tastes he knows so well. Now, for the first time, the classic versions of dishes such as Shrimp Remoulade, Crawfish Etouffée, Stuffed Creole Tomato with Grilled Chicken, and Steak au Poivre can be prepared at home with ease. The meal most often prepared and served to houseguests in the typical American home is breakfast. A fresh, exciting new idea in cookbooks, this volume represents a practical guide for the hostess who wishes to make the morning meal memorable. 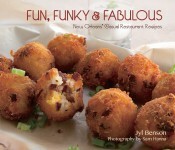 Probably the most popular and enduring of all the great New Orleans Creole cookbooks, this fabulous volume contains hundreds of time-tested recipes for which the city is famous. Paperback. More than 300 recipes make up this elegant hardcover book of sumptuous sweets from the South. Here you will find recipes for cakes, candy, cookies, custards, fruit desserts, pies, ice cream and dessert beverages. All are among the best Southern cuisine has to offer. Among the many delectable egg, cream, and sugar creations, are such rich, indulgent concoctions as Syllabub, Tipsy Parson, and Floating Island, introduced by English and French colonists; and exotic Creole showstoppers such as Cherries Jubilee and Bananas Foster. Travel through a folksy history of Southern cooking from the best fruitcake recipe before the Civil War to the ultimate Southern kitchen essential, the cast iron pan. With every detailed recollection, the heart and soul of Southern cooking shines through. For thousands of years, the food of the Mediterranean has been known to help improve physical and mental health. When author Anna Naltsatzian Bourla was diagnosed with breast cancer, her world fell apart. Seeking the solace and peace of her home country in the aftermath of her treatment, she returned to Greece, where her mother had been a professional chef. Naltsatzian Bourla consulted with doctors, home-cooks, and the Mediterranean’s famously long-lived monks to refine the recipes that she collected and bring out their potent nutritional benefits. The result is this mouth-watering volume of authentic Greek recipes that naturally make you healthier and happier. Cooking with herbs, often associated with the finest kitchens and gourmet creations, can also add exciting new flavors to the most ordinary everyday dishes. A warm and humorous look at the rural lifestyle of a Tennessee farm family in the 1930s and 1940s, Hill Country Cookin’ and Memoirs is also a treasury of Southern family recipes from a time and place where cooking was an essential part of home life. Author Ibbie Ledford, born and raised in the Tennessee hills, offers her special recipes along with some cherished personal memories. Hill Country treats and staples, traditional fare, and modern favorites are all included here. Recipes for Hand-Squashed Biscuits, Corn Fritters, Chicken Pot Pie, Baked Cheese Grits, Shepherd’s Pie, Flapjacks and Hot Blackberry Jam, Deer Steaks and Gravy, Squirrel Stew with Potato Dumplings, Fried Okra, Turnip Greens, Wilted Lettuce Salad, Buttermilk Pie, and Beef Jerky are accompanied by peculiar (to some) Hill Country customs such as how to clean and pluck a chicken, kill a hog, boil a country ham, fry chitterlings, and make inexpensive Christmas tree ornaments. Home style family meals are easier to make and just as delicious when prepared in a microwave instead of a conventional oven. With dozens of helpful hints and hundreds of easy to follow recipes, author Carolyn Kruse encourages home cooks to make the best use of their microwaves. Paperback. This unique cookbook contains over 300 recipes for scrumptious meals ranging from Escargot En Croute to Southern Fried Chicken. Occasional photographs and quotations from the likes of W.C. Field and others evoke the excitement and the elegance of a day at the races. Hardcover. With more than eight thousand restaurants, the Houston area boasts a wonderfully diverse and rich culinary culture, not to mention an outstanding offering of desserts. Pelican’s Classic Recipes Series comes to the Space City with this presentation of dozens of luxuriously photographed cakes, pies, tarts, custards, cookies, ice cream, and more from the city’s best and most iconic restaurants and chefs.